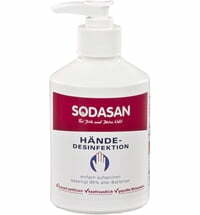 The organically certified, mild plant soaps by SODASAN are free from colourants and preservatives as well as surfactants. Pure essential oils provide a pleasant fragrance with a wide variety to choose from. The soaps are suitable for body care and are made using the traditional CO2-neutral production methods.